You probably have activities that you love to do. What you may not realize is that normal hobbies and habits can turn into an addiction. That means you can also become addicted to “behaviors.” Something that starts out as fun turns into a habit, and then becomes a compulsion. You may think that browsing the internet is just a fun way to pass the time. However, studies have shown that internet addiction actually alters the brain in ways that are similar to the affects of drug and alcohol addiction. An addiction to the internet involves loss of control, as well as negative consequences at home and at work. Smartphones are another new habit that can become an addiction. You keep it with you all the time and check it every few minutes. You ignore in-person interactions to catch a text or a post from someone you haven’t seen in years. You work too much because you’re constantly checking your phone. Put the phone down and have a conversation! You may not realize that caffeine is a drug. As soon as I wake up in the morning, I want coffee. I am on edge without it and will get a headache from caffeine withdrawal. Coffee, soda and energy drinks can all be overused. As long as you don’t overdo it, your caffeine habit can be harmless. Many people get sugar cravings. Foods high in carbs, fats and sugar can affect your brain just like drugs do. You may be craving a chocolate candy bar or an ice cream cone. It doesn’t necessarily mean you’re addicted, but your sweet tooth can get out of control and contribute to other health problems. I admit it. I have a shopping addiction. I love clothes, shoes, kitchen gadgets and more. I just enjoy the act of shopping. When you shop, it may lift you up when you’re feeling down or just make you happy. That’s because your brain actually releases a feel-good chemical called dopamine. Chronic shopping may also mean you have impulse-control problems or anxiety issues. Shopping too often can also lead to financial, social or deeper emotional problems. You can become addicted to the sun. The ultraviolet spectrum of sunlight releases chemicals in your body called endorphins. They make you feel good. You may also feel like you’re never tan enough no matter how tan you get. This may be a sign of an obsessive-compulsive or body dysmorphic disorder. Of the behavioral addictions, gambling is the one most closely related to drug and alcohol addiction. Gambling lights up the same areas in the brain as drug addictions. You may bet on an office pool, gamble online or gamble more seriously at slot machines, poker tables, or off track betting. If you’re not lucky, betting can wreak havoc on your finances, job and family life. As I sit here writing this on a Saturday morning, it’s possible that I am addicted to work. While most of the work world looks forward to weekends, those who have an addiction may find themselves working nights and weekends. While we joke about being a “workaholic,” it can jeopardize a person’s health and relationships. Can’t put down the video game console? Do you think about playing games while doing other activities? Research shows that boys and men most commonly have a video game addiction. If you’re shirking responsibilities, work or social activities to play video games, you may be addicted. With games becoming more realistic and challenging, it’s even harder to separate fantasy from reality. Food can become a problem if you’re eating to ease emotions, overeating while alone and then feeling guilty after the binge. While food can seem like a drug for people with eating disorders, it’s not considered a true addiction. It’s important to develop healthy eating habits and avoid issues with food. It is possible to have too much of a good thing. Any activity or habit can become an issue if it begins to control your life. It’s important to find balance in everything you do. 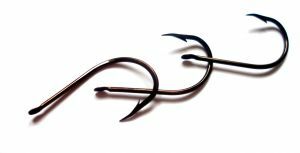 If you discover that you’re hooked on a behavior and it’s having negative consequences, it may be time to make a change! This entry was posted in Eating Right, Goals, Habits, Life Balance, Stress Management and tagged addicted, addiction, alcohol addiction, anxiety, balance, behavioral addictions, caffeine, common habits, compulsion, dependence, food, gambling, habits, healthy habits, hooked, internet, internet addiction, life balance, shopping, smartphones, substance abuse, sugar, surprising addictions, tanning, video games, work on 04/20/2015 by Krista Zuber. I love dessert. And I’m an equal opportunity dessert eater. 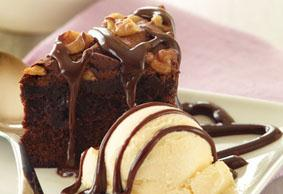 I like it all – pies, cakes, cobblers, ice cream, cookies, brownies, chocolate – anything that’s sweet and decadent. However, it can be difficult to maintain healthy eating habits when you love all things dessert. And, basically anything that will satisfy your sweet tooth is most likely going to sabotage your healthy diet. 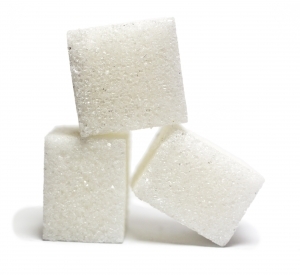 We have blogged about the dangers and health risks of eating too much sugar in the past. The average American eats and drinks 22 teaspoons – or almost half a cup – of added sugar each day. The American Heart Association recommends that women eat only 6 teaspoons per day and 9 teaspoons a day for men. Eating a moderate amount of dark chocolate (1.4 ounces) can improve your mood and reduce stress levels. So, you can enjoy a small bit of chocolatey goodness without the guilt. If you’re having a craving for ice cream, substitute frozen yogurt as a good alternative. It’s the same consistency as regular ice cream and it tastes almost as sweet. Top a cup of plain Greek yogurt with your favorite treats – crumbled graham crackers, granola, nuts or fruit. You can even add some shaved dark chocolate. You get a decadent dessert without all the added calories. Jell-O has single serving cups in many varieties and flavors. You can get pudding cups that have the same creamy flavor as cheesecake but with much less fat and calories. You can even make your own pudding from a powdered mix, using skim milk to keep it healthy. Add your own toppings for more flavor and fun. Any piece of fresh fruit will offer enough natural sugar to fill your sweet tooth craving. It’s also an extremely healthy choice for added nutrients and fiber. Mix up your fruit and create tasty fruit salads. Dried fruit is handy to pack on the go as a quick snack and is a great way to have a sweet treat. Make sure if you’re buying packaged dried fruit that you check for no added sugar. With a fudge popsicle, you can get an ice cream fix along with the great taste of chocolate. It has fewer calories than regular ice cream or even slow-churned ice cream. You can make another chocolatey treat with Nutella and popcorn. Pop a small bag of natural popcorn and top it with 1 tablespoon of melted Nutella. It’s crunchy along with the perfect amount of sweetness! A salty and sweet combo may also help you with those sugary cravings. Microwave one square of dark chocolate and one teaspoon of natural peanut butter until both are melted. Then dip pretzels or pretzels rods for a great snack. Keeping a pint of healthy sorbet on hand is a great option for filling a dessert craving without resorting to ice cream. You can even make your own sorbet if you’re feeling adventurous! Put a bag or container of grapes in the freezer for a few hours, and you’ll have a long-lasting, sweet treat with antioxidants and other nutrients. Grapes also contain resveratrol, which may help lower bad cholesterol levels and be good for your heart. You can make your own trail mix. Simply combine a healthy mix of nuts, such as almonds, walnuts, peanuts, or pistachios, with dried cranberries, cherries or raisins. You can also add in a few dark chocolate pieces for a great snack with good nutrition, too. A good-sized handful of animal crackers has just 120 calories and about 7 grams of sugar. While kids like to snack on them, adults can enjoy them, too! Need a sweet treat during your day? Chocolate milk is good for you and boosts calcium and vitamin D, which research shows is important for preserving cartilage and joint health. Chocolate low-fat milk has also been shown to replenish stores of energy and nutrition after a vigorous workout or activity. Now I want to eat something sweet, and you probably do, too! A healthy diet means eating a variety of foods and eating them all in moderation. Just be sure to watch portion sizes and treat yourself to these healthy dessert options. This entry was posted in Eating Right, Habits, Life Balance and tagged animal crackrs, chocolate milk, dark chocolate, dessert, exercise in pool, frozen yogurt, fruit, healthy diet, healthy eating habits, healthy habits, healthy snacks, healthy treats, nutella, popcorn, portion sizes, pretzels, sugar, sugar cravings, sweet tooth, sweets, trail mix, worst desserts, yogurt on 04/13/2015 by Krista Zuber. My husband’s family has a history of obesity, diabetes, heart disease and other health problems. His parents have set a goal to cut down on the amount of sugar they eat. I have decided to make that a goal for my family as well. Sugar has a bad rap, but to some degree it has been earned. It can contribute to obesity, as well as heart disease and diabetes. The average American eats and drinks 22 teaspoons – or almost half a cup – of added sugar each day. The American Heart Association recommends that women eat only 6 teaspoons per day and 9 teaspoons for men. Believe it or not, humans are hardwired at birth to prefer sweet. That’s because sugars are a type of carbohydrate, and when we eat carbs, we stimulate the release of the feel-good brain chemical called serotonin. Sugar just makes us feel better. But, our sweet tooth adds up: the average American consumes about 142 pounds of sugar every year. While sugar on its own does not cause diabetes, too much sugar can. Type 2 diabetes occurs when you gain weight and eat a high-calorie diet – your body can’t clear the extra glucose from your blood. If glucose isn’t quickly processed by your body, it can destroy tissue and lead to additional health problems. High-fructose corn syrup is processed from corn and is very close to sugar. Both are made up of fructose and glucose and contain about the same amount of calories. Why do we see high-fructose corn syrup as an ingredient in so many processed foods? Corn syrup is cheaper to produce than sugar. It’s also easy to use in packaged foods and drinks. Does corn syrup make you fat? Not necessarily on its own. Obesity is about eating too many calories, but many of those calories may be hidden in foods as high-fructose corn syrup. That brings us to our next truth. Sugar likes to hide in foods. Even low-fat and “diet” foods can have extra sugar to improve their taste. Sugar also adds bulk, texture and thickness to take the place of fat. To spot hidden sugars, you can check the nutrition label for “carbs as sugars.” You should also check the ingredients list for items ending in “ose,” such as glucose, sucrose, fructose, lactose, and maltose. These are all forms of sugar. In addition to preventing obesity and diabetes, another reason to cut down on sugar is to avoid blood sugar spikes. Even if your weight is on target, you can be shortening your life by causing spikes in your blood sugar level. Repeated spikes in blood sugar put stress on the organs that control metabolism for your body. Over time, it takes a toll. So, I can just eat artificial sweeteners instead of sugar, right? Wrong. You can still gain weight even if you are using artificial sweeteners. There’s also no proof that the substitutes reduce the risk of diabetes. Most nutritionists say that you will be healthier if you eat a few squares of chocolate rather than loading up on artificial sweeteners all day. What are some ways to cut down on sugar? Eat whole grains – Swap white bread, pasta and rice for whole grain versions. Cut down on fruit juice – Drink one glass of fruit juice a day, or you can even dilute it with water. Reduce the sugar in recipes – Cut out some of the sugar in recipes or use spices to add flavor and taste. Watch out for sugar-free labels – These foods often contain artificial sweeteners. While they taste sweet, they don’t satisfy the sweet tooth. Your brain gets confused and can lead to over-eating. Also beware of low-fat and diet labels – These foods tend to be high in sugar to add flavor. Reduce sugar in hot drinks – Cut the sugar from coffee, cappuccino, hot chocolate and tea. Use cinnamon to flavor hot drinks or gradually adjust to no sugar. Snack on fruit or nuts – Instead of grabbing a sweet treat, eat more healthy snacks like fresh fruit, nuts and even yogurt. Replace some carbs with lean protein – Add more fish, chicken and turkey to your diet. These protein-rich foods slow digestion so that you have less cravings between meals. Before you throw out your sugar bowl and every sweet snack, remember that cutting down on your sugar intake is a process. If you try to eliminate all sugar from your diet at once, you will be very unhappy and dissatisfied. Cut down on your sugar intake slowly over time. As you start to feel healthier and more balanced, you should find that you don’t miss the extra sugar! This entry was posted in Eating Right, Habits, Life Balance and tagged artificial sweetener, artificial sweeteners, balanced diet, blood sugar, blood sugar levels, carbohydrates, carbs as sugar, corn syrup, diabetes, feel healthier, fructose, glucose, heart disease, high-fructose corn syrup, obesity, sucrose, sugar, sugar consumption, sweeteners, weight gain on 02/03/2014 by Krista Zuber.